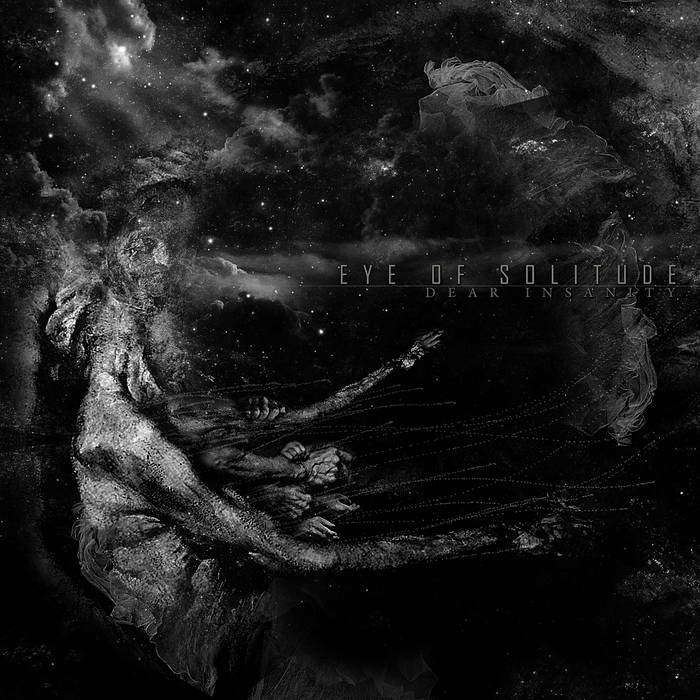 Eye Of Solitude from the United Kingdom that has been featured before in this zine and plays a symphonic form of funeral doom metal with some ambient elements and this is a review of their 2014 album "Dear Insanity" which will b e released in December by Kaotoxin Records and consists of a 50 minute track. A very dark ambient sounding synth starts off the album and also gives the track a great amount of atmosphere and after a couple of minutes you can hear some tortured vocals in the background which also adds in a touch of depressive black to the bands musical sound along with some distorted drones and almost 10 minutes into the track the music starts going into a very heavy funeral doom metal direction. When vocals are added into the music they are deep guttural death metal growls and the guitars also bring in dark sounding melodies and mix them with the heavy riffing and they also keep around the atmospheric, ambient and symphonic elements and the synths also start bringing in a variety of many different sounding keys and when solos and leads are added into the music they bring in even more of a melodic edge to the dark and heavy music. Halfway through the track melodic clean singing is added into certain sections of the song and they also bring in more gothic influences and after awhile you can hear a small amount of spoken word parts being utilized at times and they also mix in the melancholic goth sound with the funeral doom metal riffs and growls at times to give the song more variety and texture and as the song moves towards the end a small amount of acoustic guitars are added in at times. Eye Of Solitude remains true to the funeral doom metal sound of previous recordings and creates a 50 minute track that is very dark, heavy, tragic, and melancholic sounding, the production sounds very professional while the lyrics cover darkness, depression and despair themes. In my opinion this is another great sounding recording from Eye Of Solitude and if you are a fan of this band, you should check out this album. 8 out of 10.